Marlo Mortel admits he got scared when a drunk audience member went up the stage during one of his performances. Marlo Mortel admits that he felt scared when he had to deal with a drunk audience member during a recent performance. The singer was tapped to perform during the 68th founding anniversary of the municipality of Mamburao. While he was singing, a young lady joined him onstage and proceeded to have her selfie with him. A man joined the lady in posing for a photo and when he became a bit unruly, he was escorted off the stage. 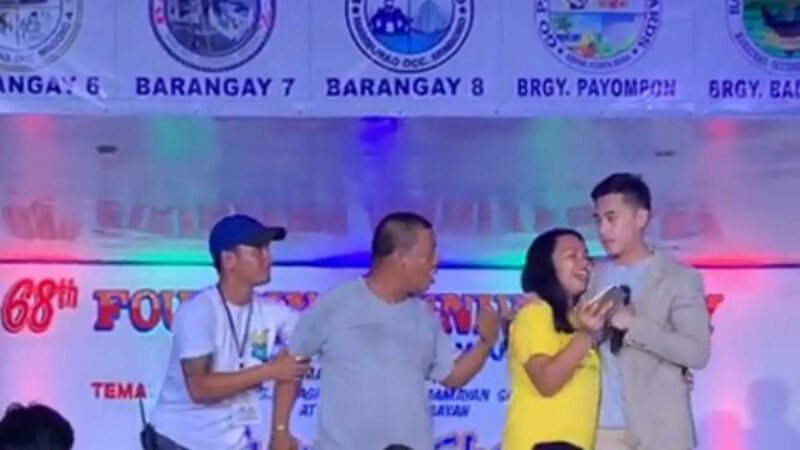 He raised his voice as he pointed out that he was the father of the lady taking a selfie with Marlo. After the man was escorted off the stage, Marlo stopped singing as he tried to calm himself down after what happened. "I’ve had a few wild encounters during shows but this time I actually got scared. I didn’t know how to react, we were told that he was drunk. As performers, we put ourselves in a vulnerable postion everytime we go out. We genuinely want to make you guys happy but we do ask for a little bit of respect in return. Tao lang din po kami." 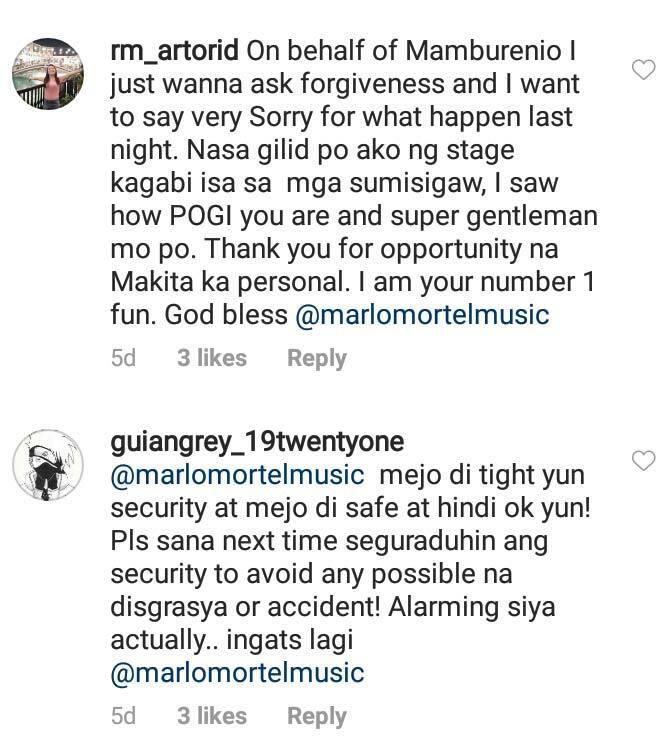 Some netizens commented on Marlo's post to describe what happened during his performance.